Now days, there are great career choices up for grabs, and Medical Assisting jobs are going strong. The Medical Assistant career began in the 1950s, and Medical Assistants have been a vital part of the medical industry ever since. Medical Assistants perform routine administrative and clinical tasks to keep the offices of physicians and other healthcare practitioners running smoothly. 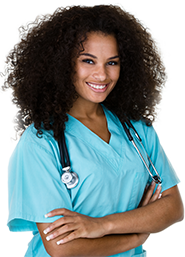 Duties of each Medical Assistant will vary from office to office and is dependent on the size and location of the practice as well as the practitioners’ area of specialization. 5. Scheduling appointments and so much more……..
5. Assisting the physician during the examination and again… so much more……. 1. Job Growth and Stability: According to the United States Bureau of Labor Statistics, the job outlook for Medical Assistants is quite impressive. In fact, it is projected to have one of the fastest job growths all the way through to the year 2018. 2. Short Training Time: You don’t have to wait years to enter the workforce. Medical Assistants normally complete a training program with Midwest Institute over the course of 32 weeks for a full time student and 48 weeks for a part time student. There are also some facilities that offer on the job training, however your chances of landing a good (better paying) position are increased significantly if you obtain formal training. 3. Versatility and Portability: If you are the type who gets bored with doing the same tasks daily, a career as a Medical Assistant will provide you with a wide variety of tasks. Exactly what you will be doing depends on where you choose to become employed. In a small office, you could do everything from filing patient records to sterilizing equipment while in a larger office or medical facility, you will probably specialize as either an administrative Medical Assistant, clinical assistant or a tightly focused area. 4. Personal Satisfaction: Last but not least, as a Medical Assistant, you can feel great knowing that you are contributing to the well – being of others. 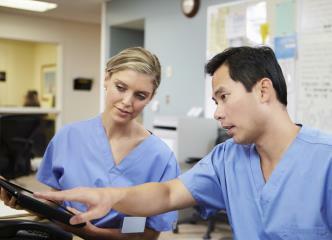 The nature of your work puts you into position to help patients deal with difficult situations. You are actively caring for and helping patients who need you. The Midwest Institute Medical Assisting Program is available to help you reach your goals in the healthcare field and classes are forming now!!! !